Tennessee Drug and Alcohol Treatment Facilities. Are you looking for Tennessee Drug and Alcohol Treatment Centers? Our listings listed below can help. Mexican drug trafficking organizations play a large role in the importation of drugs into Tennessee and also the distribution of them. These organizations traffic heroin, cocaine, marijuana and methamphetamine throughout the state. Marijuana use and distribution has become quite problematic in both the state’s metropolitan and rural areas. There is a large market for marijuana and much of it is cultivated right in Tennessee. The seizure of marijuana crops is a fairly common occurrence. Large amounts of Mexican marijuana are imported in as well. Most of the cocaine sold in Tennessee comes from Georgia, Texas, Illinois and the western region of the United States. Some of it is sold as powder, while some of it is converted into crack cocaine. Methamphetamine availability has increased in recent years. There is a strong network of domestic labs which manufacture the drug both for personal use and distribution. Tennessee has one of the higher rates of meth lab incidences in the country. Most of these labs can be found in the eastern part of the state. Methamphetamine is also shipped in from Mexico. Heroin is not much of a concern for law-enforcement agencies. It is not readily available and there is not a large demand for the drug. The use of ecstasy, GHB and LSD is becoming problematic and the abuse of these drugs is increasing. The highest concentration of club drugs can be found in Knoxville, Nashville, raves, clubs and parties. Pharmaceutical drug use does occur and is becoming more problematic. Morphine Dilaudid, Hydrocodone based products, Xanax, Oxycontin, Morphine, Methadone and Hydromorphine are those primarily abused. Individuals obtain these drugs via doctor shopping, the Internet and prescription forgery. 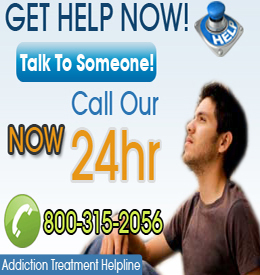 Choose a City to Find Addiction Help in Tennessee.